Today I spoke with both my family in Wyoming who complained of clearing ice on their windshields and my in-laws in Quebec who have seen several solid hours of snowfall since this afternoon. Both these scenarios sound divine! 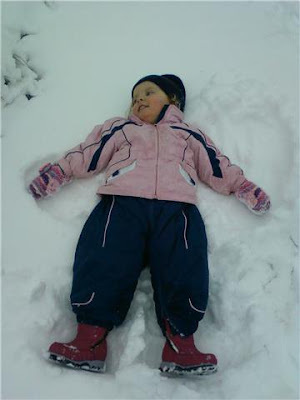 I want to be in adorable little Brae-Lynn’s boots right now, making a snow angel in crisp mountain air. Instead I am still sweating, long after sundown, still hot after two cool showers, three dips in the pool, and several ice cold beverages. It’s suddenly summer here in Turks and Caicos and being that it is only April, I simply refuse to turn on the A/C, a luxury we reserve for our hottest summer months in August and September. I’ll make do with the ceiling fan, and I’ll get used to it as I do every season, just a little reminder to those out there in the cold . . . . the grass may be a shade of olive, lime, or forest, it’s all in the perspective. This entry was posted in Uncategorized on April 28, 2010 by pepperkeystacie@gmail.com. 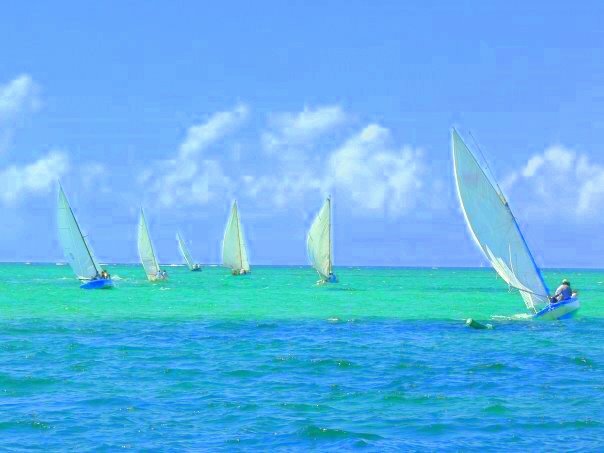 This photograph of a Turks and Caicos sailing regatta was taken by Federico Bigazzi. Federico, originally from Italy, came to the island two years ago as an autocad expert, formerly applying his profession to automobile design. Federico is a program whiz, anytime we have a computer related dilemna he is the first person we call. I greatly appreciate that his technical understanding does not overshadow his artistic eye; his photography represents a great understanding of both. This image is Turks and Caicos timeless. I gave it an extra painterly texture to further express that it could be from yesterday or yesteryear. You will be seeing a lot more of Federico’s photography to come. This entry was posted in Photography, Turks and Caicos Islands on April 26, 2010 by pepperkeystacie@gmail.com. Any opportunity that arises to set foot on Parrot Cay is a welcome one. It had been nearly a year since my last visit, a location scout for Self Magazine. We boarded the boat at noon and upon arrival to the island immediately got to work constructing a driftwood chuppah for the ceremony on the beach. 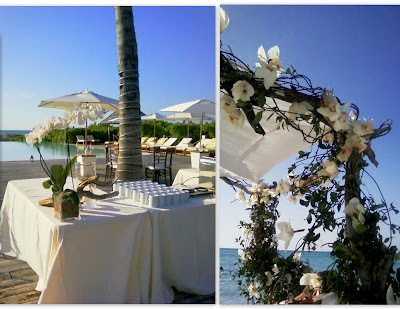 Just in time for the island drum band to set-up, the structure and it’s fragrant adornment was complete; white confederate jasmine vines meandered their way up each post, large white orchids potted in moss nestled in each empty nook, and hundreds of single stem cymbidium orchids dotted the wildly organic and wonderful structure. While my assistant packed up, I quickly rushed over to see what Environmental Arts and wedding planners Nicole and Linda from Hopple Popple, had been hard at work on. The reception looked flawless; driftwood took center stage on each table, the worn and sun bleached greys were balanced beautifully with floral arrangements of white blooms, pale pink peonies, and delicate splashes of green and coral colored buds. Fabric lanterns hung in clusters from the timber roof, dark espresso chivari chairs, and embroidered tablecloths added elegance to the simplicity of the space. After these few quick snapshots on my phone, we rushed down the beach, and loaded our gear onboard Beluga. Our dear friend Captain Tim had come to our rescue as we had missed our 5pm boat while applying the finishing touches. Just as the guests began to arrive we were sailing off into the sunset. A great way to end the day. 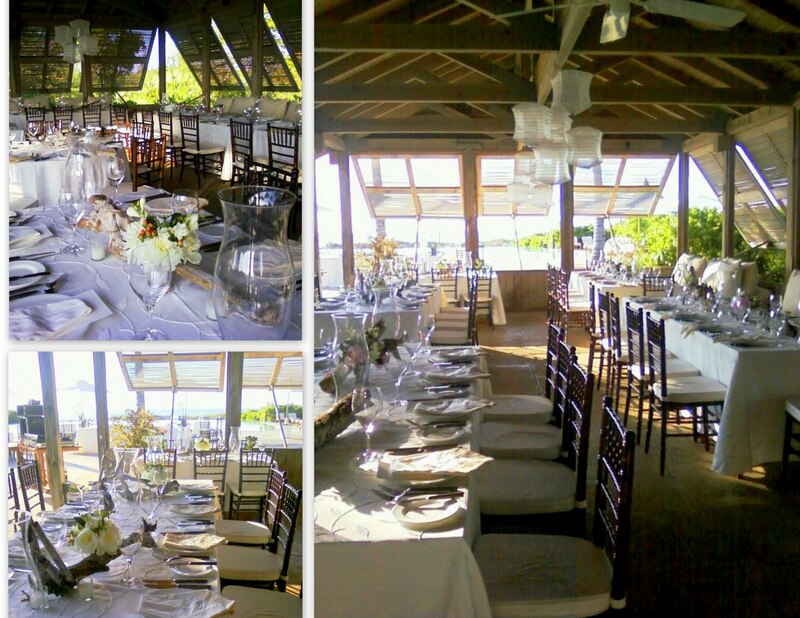 This entry was posted in chuppah, driftwood, wedding on April 25, 2010 by pepperkeystacie@gmail.com. JCREW first launched it’s wedding collection in 2004, creating an alternate avenue for couples seeking a simpler approach than the typical taffetta and tulle overload. By 2009 even high fashion brides were hooked and W Magazine was taking notice “I do” to J.CREW . Their collections always have something ideal for beach weddings (like these sand, soft peach, and pale pink options above) and everyone should agree that the prices leave breathing room in the wedding budget. As a bride or a bridesmaid you can easily wear that dress again, a practical and eco savvy choice. 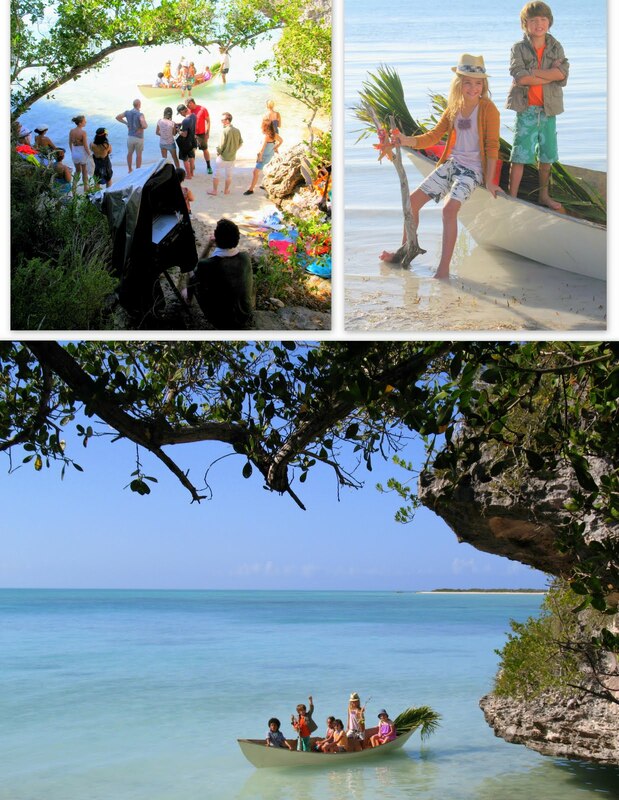 This entry was posted in JCREW, Turks and Caicos Productions on April 24, 2010 by pepperkeystacie@gmail.com.